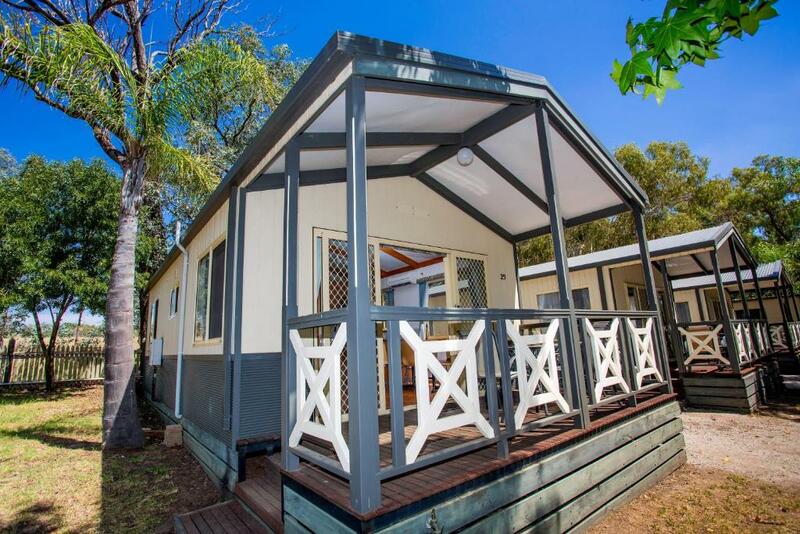 Discovery Parks – Lake Hume is situated on the shores of Lake Hume. 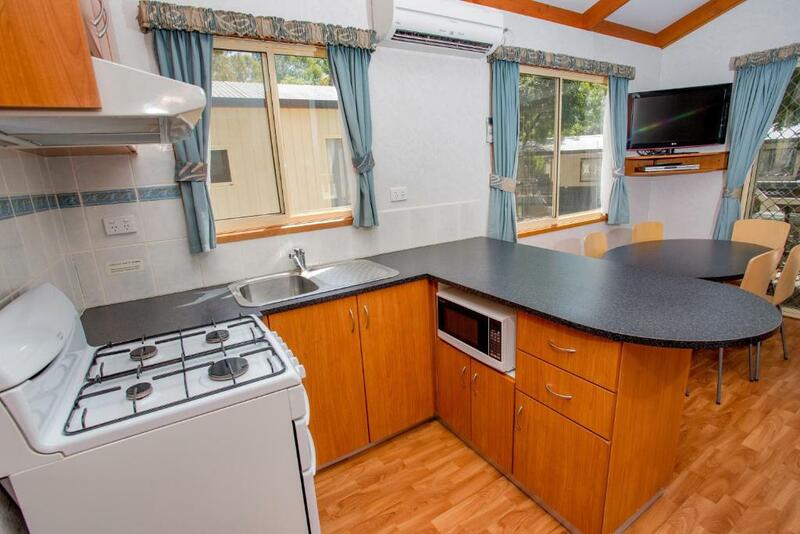 Various styles of fully self-contained 2-Bedroom villas, cabins as well as powered and non-powered sites for caravans are provided. 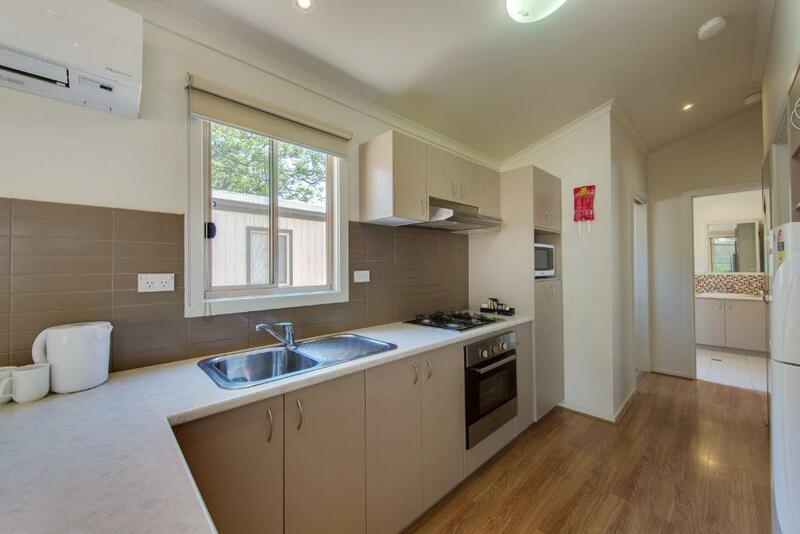 Accommodation at Discovery Parks – Lake Hume contain facilities such as air conditioning, TV, DVD players, as well as kitchens or kitchenettes. Facilities include a resort-style swimming pool, trampolines, a children's playground and a games room. 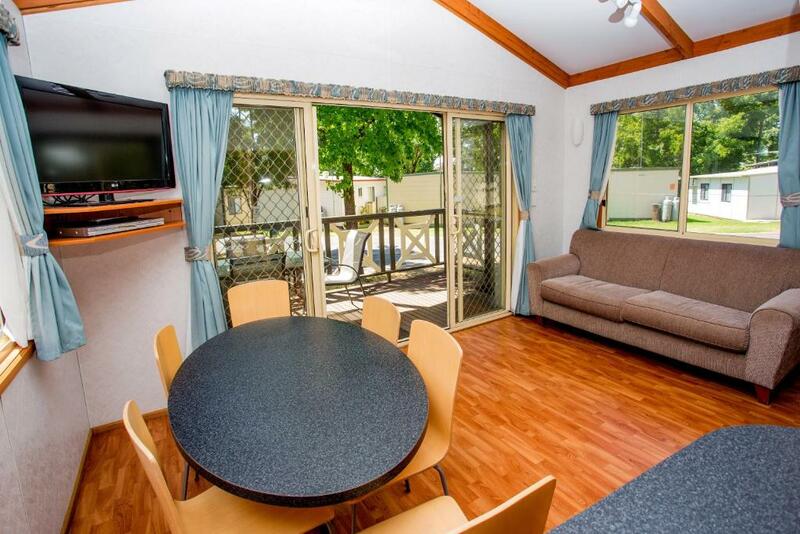 Discovery Parks – Lake Hume is ideally situated for easy day trips to Bright, Mt. 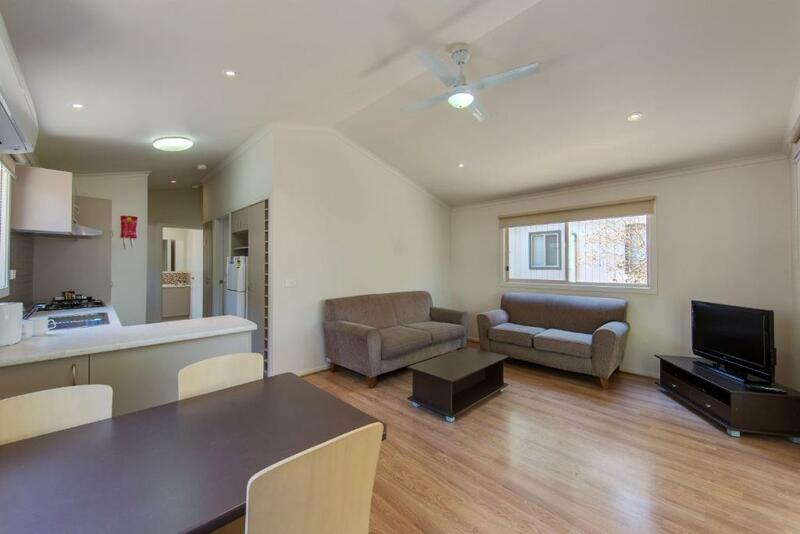 Beauty, the historic Beechworth, and the Rail Trail and the wineries of Rutherglen. Breakfast included rates offer a continental breakfast box. 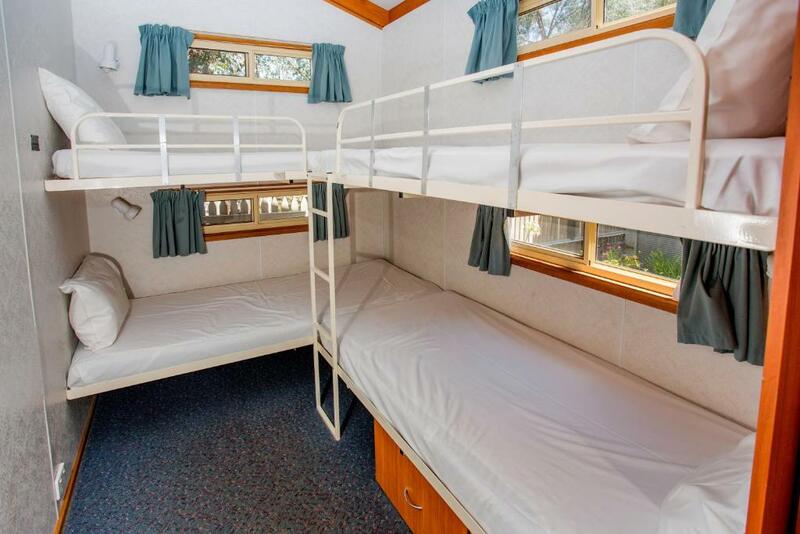 Please be advised that according to Australian Work Law Health & Safety, children under the age of 9 years are not permitted to use/play on the top bunk. Please take this into consideration when making your booking. Bedding/linen is supplied for all beds. 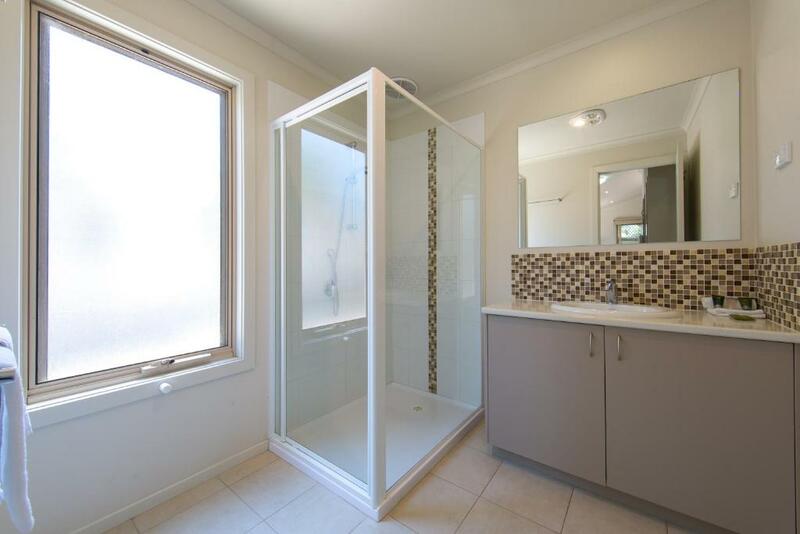 Features a spa bath in bathroom. Maximum capacity is 4. Your experiences are very helpful to other travellers. 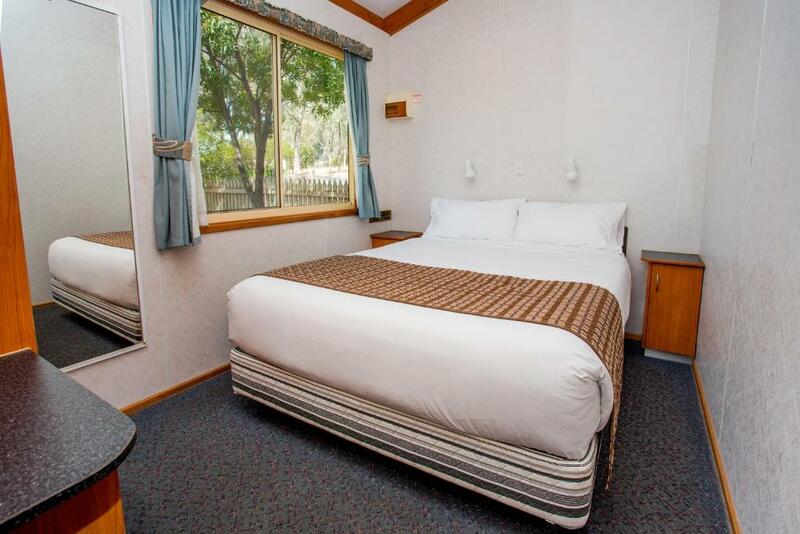 On a scale of 1-5, rate the equipment you have used during your stay at the hotel Discovery Parks - Lake Hume and express your opinion. Your opinion is important! 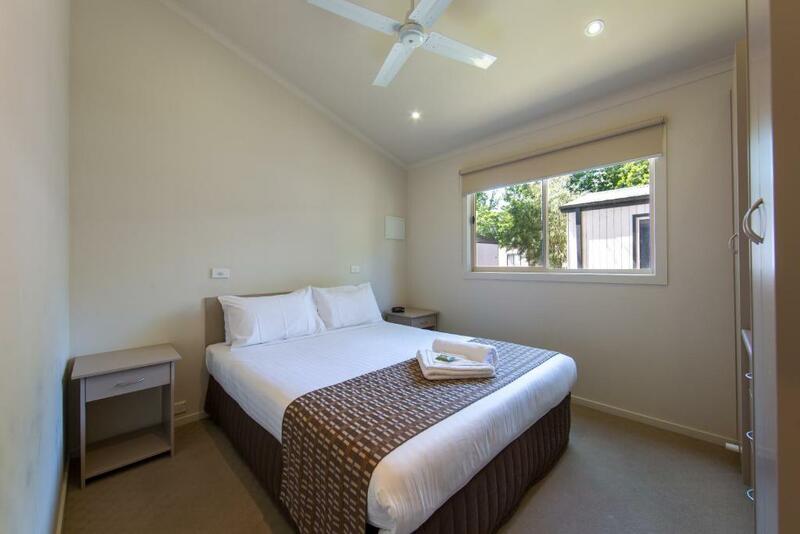 I certify that this review is based on my own experience and is my genuine opinion of this hotel (Discovery Parks - Lake Hume), and that I have no personal or business relationship with this establishment, and have not been offered any incentive or payment originating from the establishment to write this review.